eZee Centrix is a Channel Manager that helps hotels to manage their property's rates and inventory on various channels and travel websites. 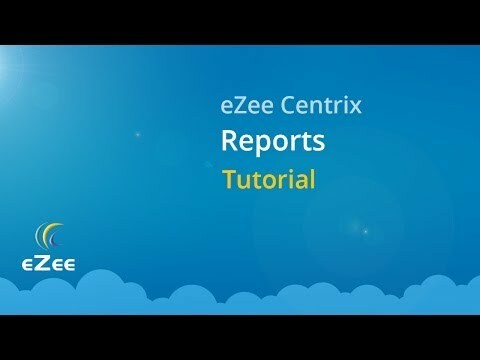 eZee Centrix; a new state of the channel manager consists of all tools to easily manage property rates and inventory on various channels. It will automatically update any rate or inventory changes made in the PMS to all the channels instantaneously. eZee Centrix can be accessed from anywhere at any given time through smart phones and tablets without any hassles. The Channel Manager ensures efficient inventory distribution globally by connecting the hotel to Global Distribution System (GDS) consisting of Amadeus, Sabre, Galileo and World span. Easily manage numerous commission and bills associated with various connected channels as per the contract you sign with them. Aiding you to get an efficient and strategic plan, eZee's channel manager provides you with detailed reports giving you real-time data of the hotel. eZee will efficiently synchronize the Availability Calendar on leading vacation rental websites and allow you to get receive booking from this rising booking market. Quickly and effortlessly connect your eZee channel manager with numerous 3rd party solutions for better hotel management. The seamless integration of eZee inventory distributor with hotel PMS and booking system, enables you to update live inventory on connected channels. Recording all the updates taking place in the system, the audit logs in eZee system ensure that your hotel data is always on record and secured. Q. How many channels are currently connected with eZee? eZee channel manager is connected with numerous leading international and local OTAs. Besides, we are constantly expanding our interfaces with new ones. Q. Can I add or remove a channel later on? You can always add or remove a channel later on, there is no limit on the number of channels and we do not charge anything extra for the number of distribution channels. Also, the numbers of channels you are connected to can be changed at your discretion anytime. Q. Can I stop-sale on OTA at any time? Yes, just login to eZee Centrix, and use the Stop Sale option as per your convenience for your desired OTA or all the OTAs. Q. What should I do in case I no longer wish to use your platform? Action is required from your side to de-link the OTA channels from eZee. You have to contact the account manager of the OTA and update them to deactivate eZee Channel Manager. The account manager should generally do that within 24 hours or less. Q. Can I show different rates across different channels? Our system gives you flexibility. You can choose to have the same rates on all channels and your website, or alternatively, you can manage individual rates for each channel. We highly recommend you to keep the same rates for all the channels including your own website; else, you might end up getting a rate parity warning from the OTAs.